For ease of transferring to and from a wheelchair. Made of sturdy Baltic birch with a clear lacquer finish. Tapered ends and rounded corners. User size: Universal. No installation required. Weight capacity: 440 lbs.. Allergy: Not made with natural rubber latex. Proposition 65 warning: This product contains a chemical known to the state of California to cause cancer, birth defects, or other reproductive harm. Warranty: Six months limited. Made from baltic birch wood. Made in China. No assembly required. 24 in. L x 8 in. W x 0.5 in. H (1.98 lbs.). The Lifestyle transfer board is a simple aid to moving into and out of a wheelchair. 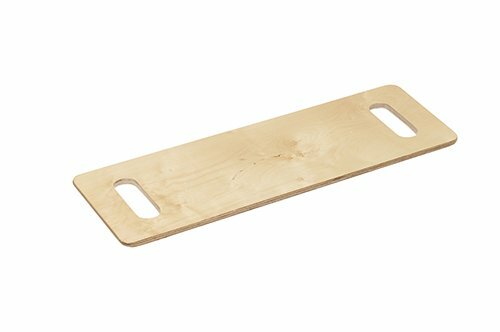 The attractive lacquered birch board offer superior strength, capably accommodating patients up to 440 pounds.